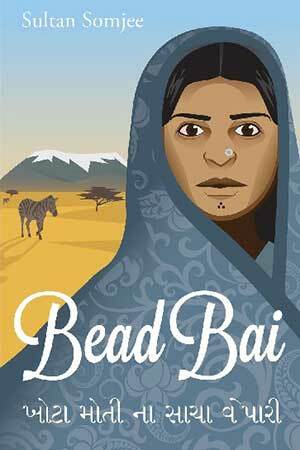 To the growing list of East African literature focusing on the heritage of that region’s Asian population we may now add the title Bead Bai, a historical novel about the Ismaili community in Kenya during the first part of the twentieth century (see WLT, July 2012, 14–18). This is the first novel published by Sultan Somjee, whose career as an anthropologist began in Kenya and continues in his present home in western Canada. Readers familiar with the novels of M. G. Vassanji (author of The Gunny Sack, The In-Between World of Vikram Lall [see WLT, Sept. 2005, 84], and other titles) will find themselves on familiar terrain with this novel. Like Vassanji, Somjee grew up in the heart of East Africa’s Ismaili community—a branch of Shia Islam originating in Pakistan and India whose spiritual head is the aga khan, and whose members have migrated around the world. Somjee peoples his novel with characters and situations from that community. Somjee’s novel, like Vassanji’s works, explores the diasporic experiences of Ismailis who migrated to East Africa. Saki is married at a young age and moves with her husband’s family to Nairowua, near the Tanzanian border. In this difficult time, she finds solace in her relations with Maasai women and in the beads that she loves and sells. She gives birth to a boy, Diamond, in honor of the diamond jubilee of the aga khan, and eventually returns to Nairobi in search of healing and wholeness. Somjee’s anthropological perspective is evident throughout, particularly his interest in material culture. Somjee is the former head of ethnography at the National Museums of Kenya, for which he curated an important exhibit on the Asian African heritage that ran from 2000 to 2005. He is also the author of a school text, Material Culture of Kenya, that encourages schools and other groups to collect, preserve, and display aspects of their material culture. Bead Bai links that material culture to the stories which lie behind it, ultimately offering a thoughtful window into an important part of East Africa’s cultural heritage, through the eyes of the young bride Saki. Boris A. Novak. Aleš Debeljak, intro. Michael Biggins et al., tr. J. M. G. Le Clézio. C. Dickson, tr. 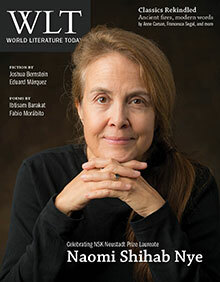 Showcasing Naomi Shihab Nye, winner of the 2013 NSK Neustadt Prize for Children’s Literature, and “Classics Rekindled,” a special section featuring six writers who nurture the flame of literary tradition.